Because kava kava has a mild sedative effect, practitioners of herbal medicine sometimes recommend this herb to treat anxiety, insomnia and seizure disorders. Even short-term use of kava kava may cause liver trouble, though, and those with Parkinson’s disease should avoid it. Several other herbs provide safer alternatives, but since some may increase the effects of sedatives and anticonvulsants, check with your doctor before starting any herbal treatment. The use of valerian to treat anxiety and insomnia dates back 2000 years and some modern studies support these uses. Valerian extract appeared to have the same effect as the sedative Diazapam in a small 2002 study from Universidade Federal do Paraná in Curitiba, Brazil. Those with mild psychophysiological insomnia may also benefit from valerian, note researchers at Berlin, Germany’s Humboldt University, who conducted an evaluation of the herb in 2000. This Mediterranean flower is well known for its pleasant fragrance, which many find relaxing. 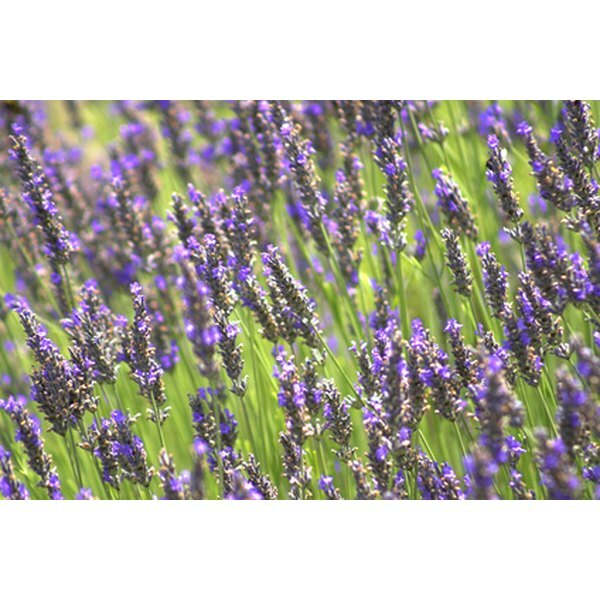 Nursing home residences with severe dementia showed less agitated behavior when their ward was scented with lavender oil, reported one study from the University of Southampton in Southampton, UK. The lavender oil preparation Silexan was found to be comparable to the sedative Lorazepam, according to a 2010 multi-center study based in Buseck-Beuern, Germany. Although traditionally used for insomnia, chamomile tea may be more than just a sleep aid. The flavonoid and bisabolol in chamomile have documented antispasmodic effects and for those with seizure disorders, this herb is a safer alternative to kava kava, according to experts at the University of Maryland Medical Center. They also suggest chamomile may help with muscle spasms. Passion flower has been used in Europe and the Americas to reduce anxiety, relieve insomnia and prevent seizures and recent research seems to back up this traditional use for the first two. Although the herb's anticonvulsant effects haven’t been proven in humans, extract of passion flower protected mice from seizures 100 percent, findings from Qazvin University in Qazvin, Iran reported in 2007. A culinary herb popular for its lemony aroma and flavor, lemon balm is also a traditional treatment for anxiety and insomnia. A combination of lemon balm and valerian shows particular promise for reducing anxiety, suggest 2006 findings from Northumbria University in Newcastle upon Tyne, UK. The combination also helped 80 percent of children with insomnia, state researchers from a large 2006 study conducted by the German herbal remedies producer Schwabe Pharmaceuticals.